Horizontal Dewatering makes it possible to lower ground water levels in short periods of time, enabling groundwork for sewer’s, building excavations, cables and pipes to be carried out in dry conditions, without any risk. Specifically designed trenching machine systems are used to drain the ground water from the soil. Pumping out the ground water lowers the water table and modifies the subsurface flow pattern. The system can be installed accurately using laser depth control. 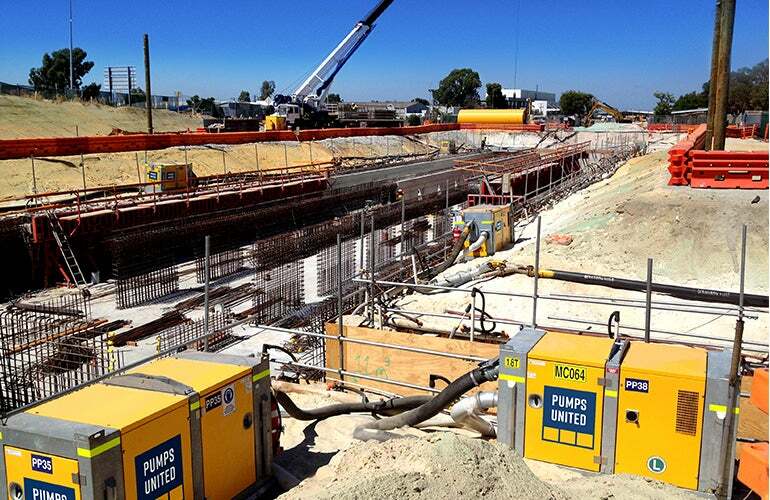 Pumps United specialise in the design, supply, and install of horizontal dewatering systems. 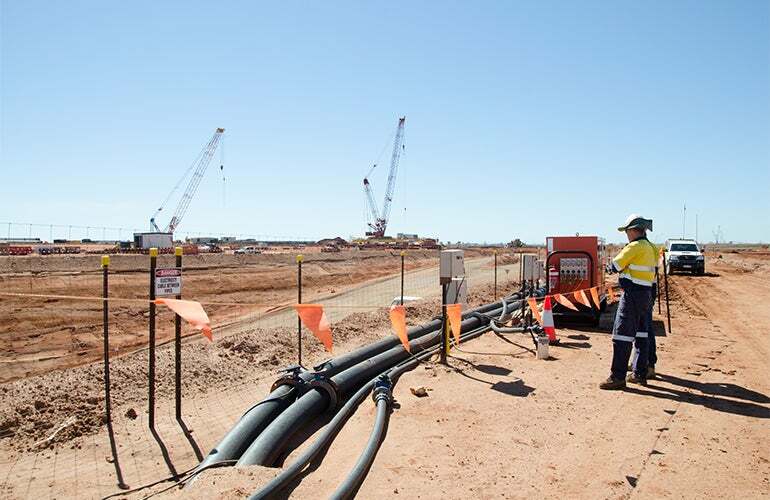 We are Australia’s leading provider of dewatering services, offering the latest in technology and tailored solutions to meet our customers’ needs and site requirements. Our team is available 24 hours a day to provide technical support, after-hours maintenance, scheduled servicing and emergency breakdown response.